by gillian claire: Love Your Mama, Mother's Day Giveaway! Mother's Day is coming early for one lucky mama! 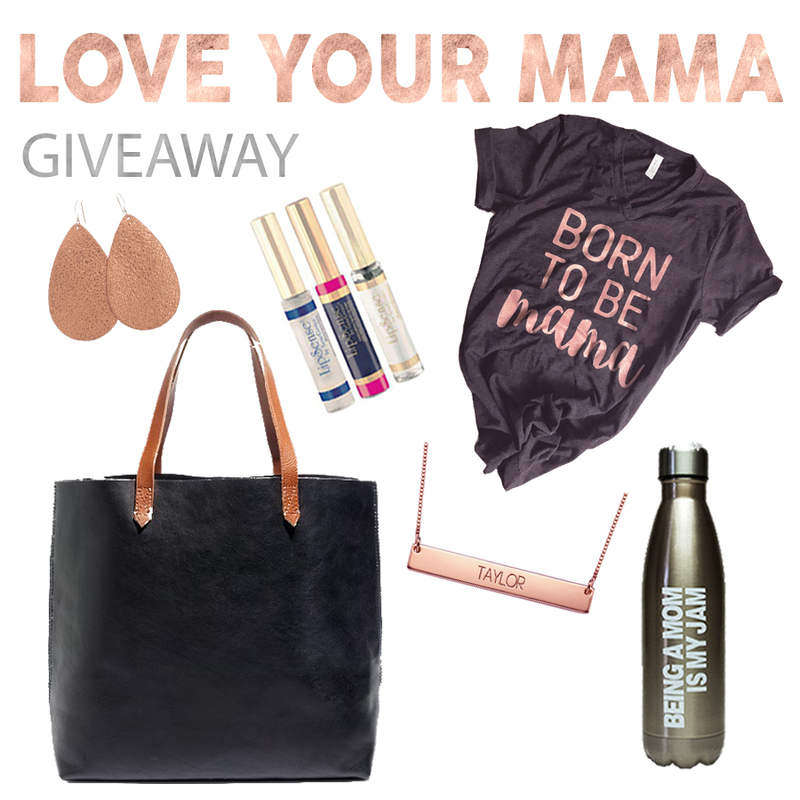 I have teamed up with some amazing shops and bloggers to give one lucky mama all of this! To enter click on the link below. Please note that all entries are verified. You must be following all accounts in order to win. Giveaway will end on Friday, May 5th at 12 AM CST. a Rafflecopter giveaway Winner will be randomly selected using Rafflecopter and will have 48 hours to claim prize or an alternate winner will be selected. If you select use Facebook to use this form, your Facebook email will be used as your contact email should you win. Please use an email you can be reached at.Please note that winning product colors and/or styles may vary from photo and dependent on availability at the time you claim your winning prize. Sponsors will be responsible for fulfilling prizes. Giveaway is open to U.S. Residents 18+.